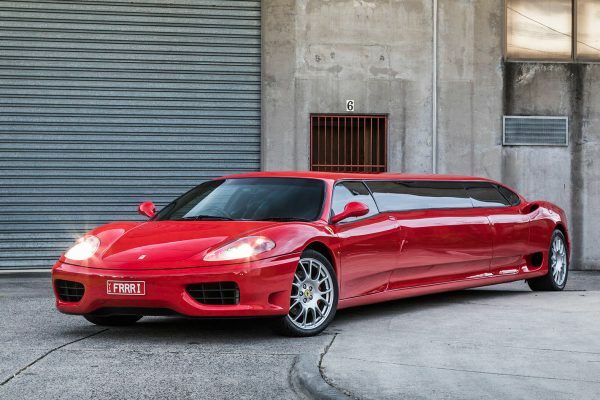 When this particular Ferrari 360 Modena rolled off the production line in 2003, it’s fair to say that the team at Maranello had no idea what sort of future lay ahead of it. 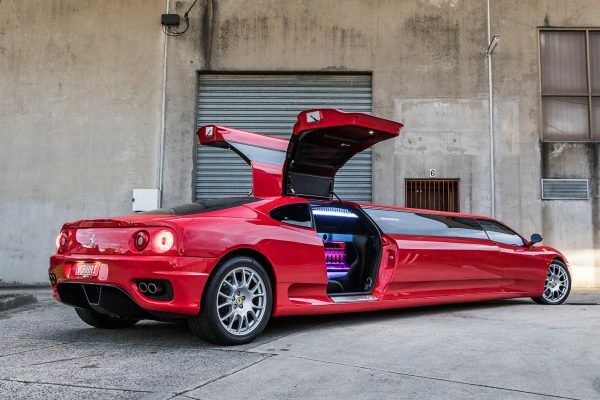 Thanks to some seriously complicated engineering by some brave visionaries, this custom-built Italian Supercar is now an 8-passenger stretch limousine (+1 in the front next to the chauffeur) – embodied with all the modern opulence that passengers could dare to dream for in their privately lavish cabin – with multiple TV’s, elaborate LED lighting fused with a cinematic surround sound system and bar arrangement. 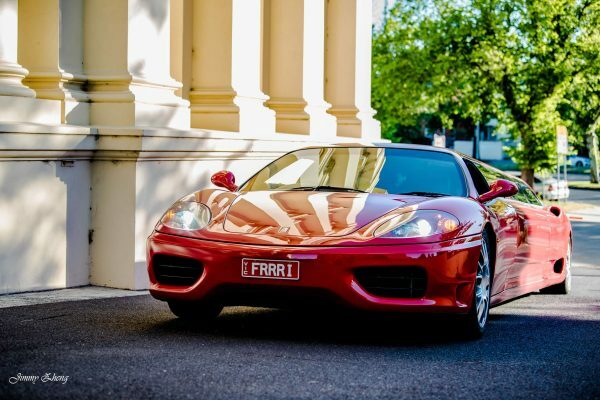 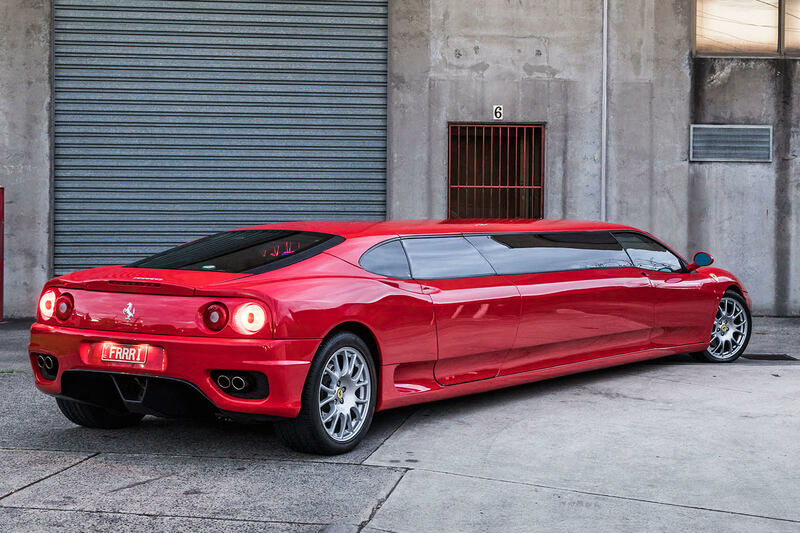 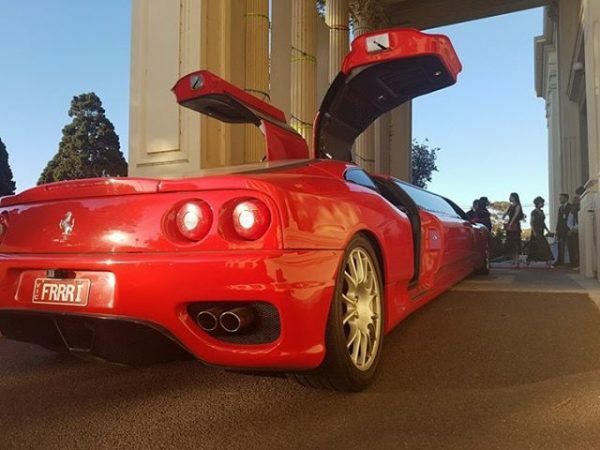 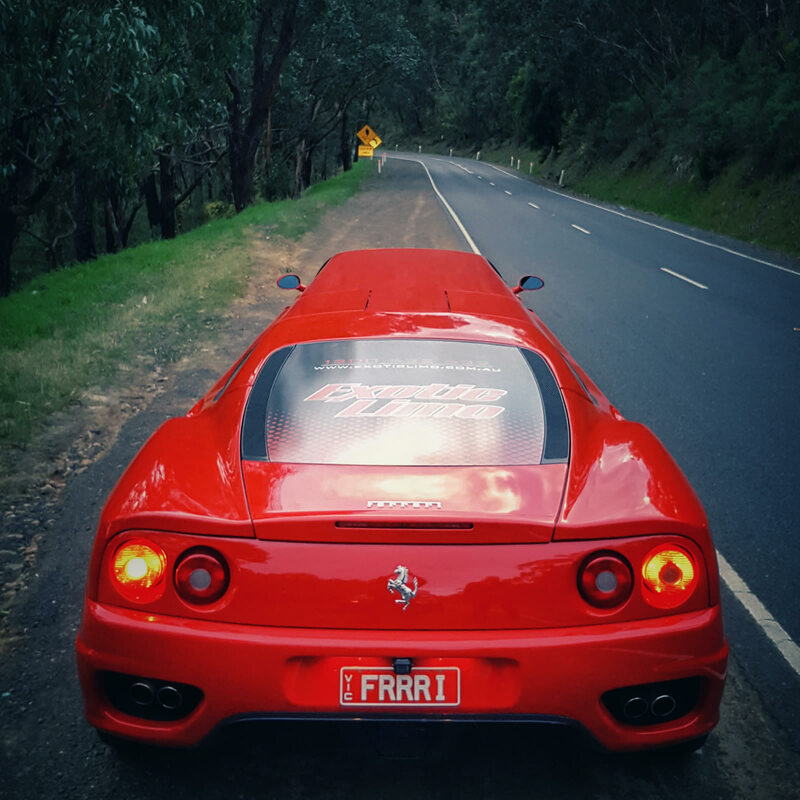 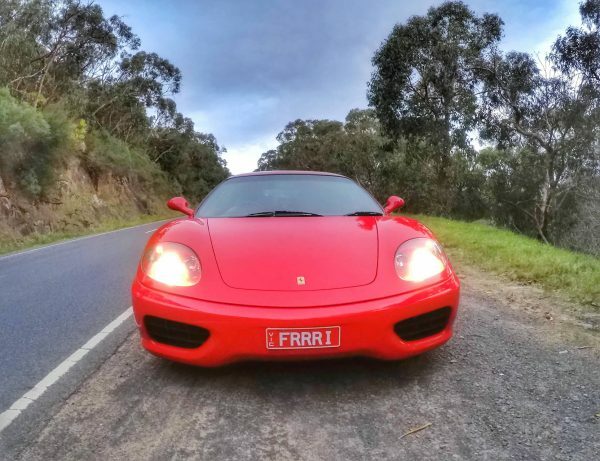 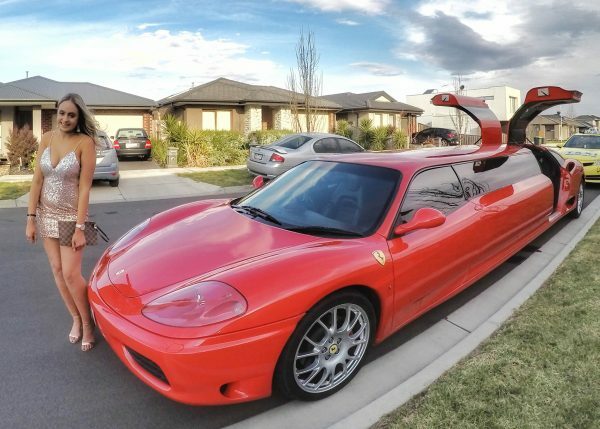 The Ferrari 360 Modena limousine was created so anybody can now enjoy the real Ferrari driving experience. 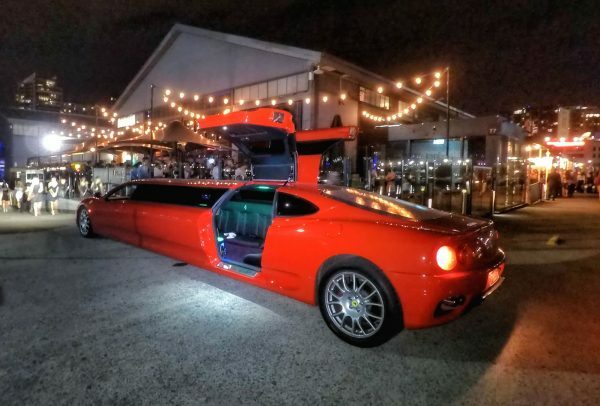 The 3.6-liter engine in this limo performs as you would expect for a Ferrari – catapulting it from ‘0 to 100’ in less than 6 seconds! 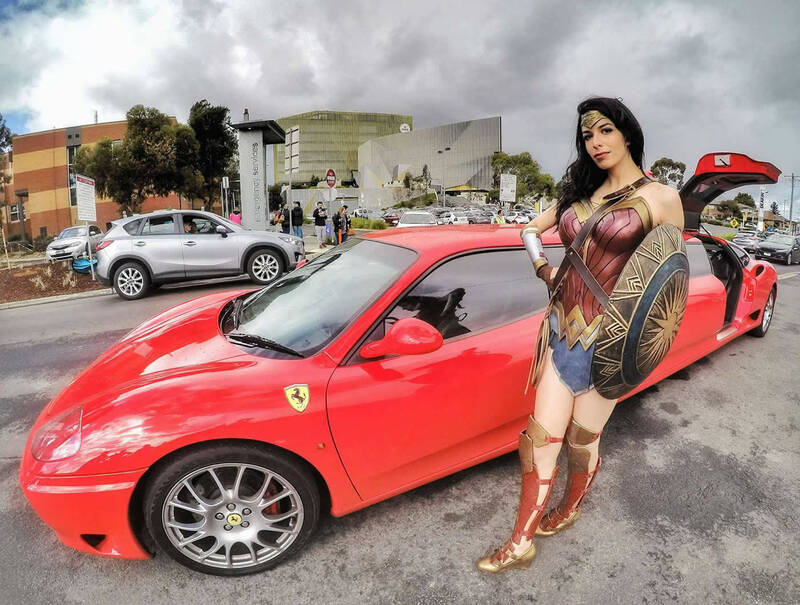 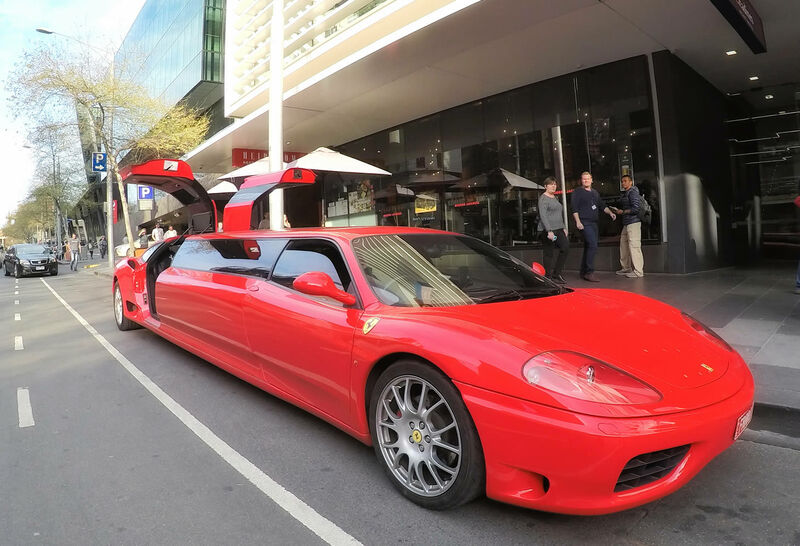 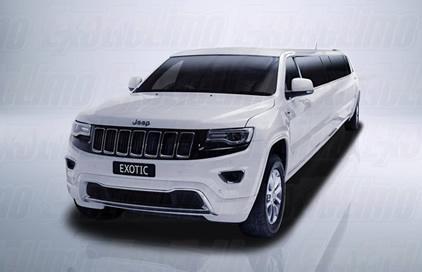 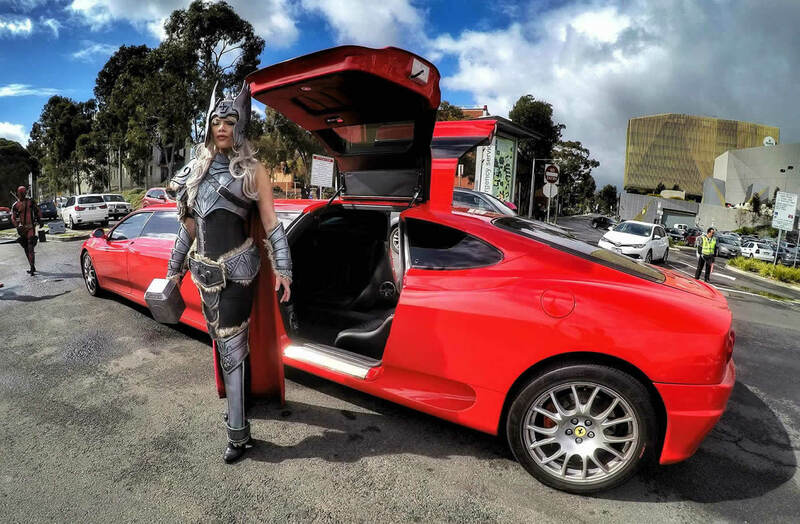 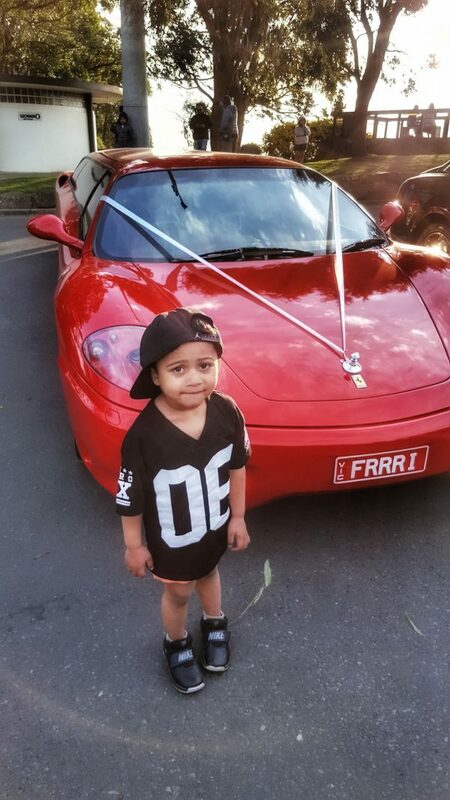 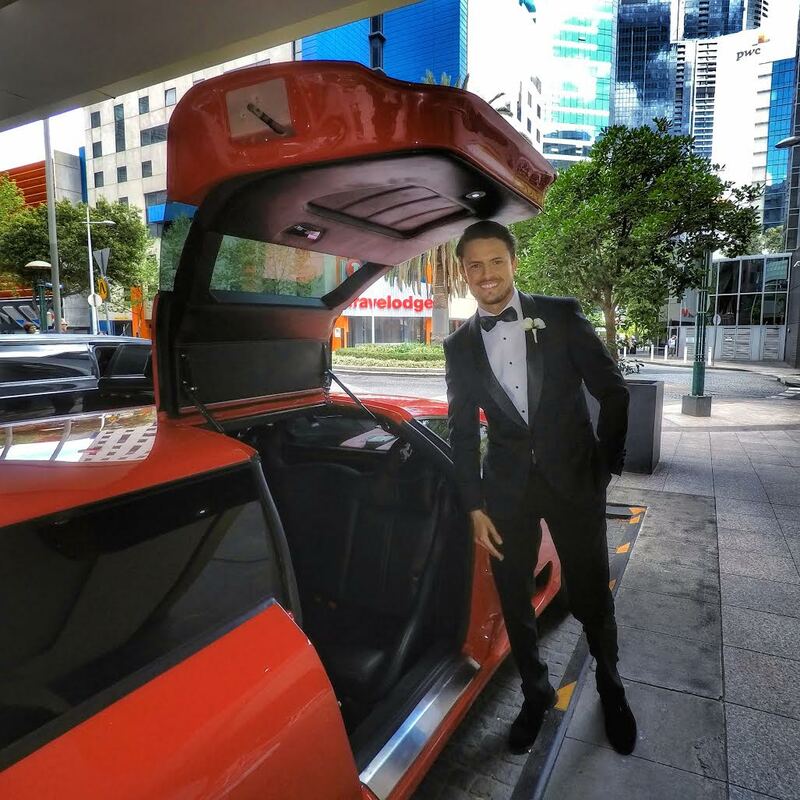 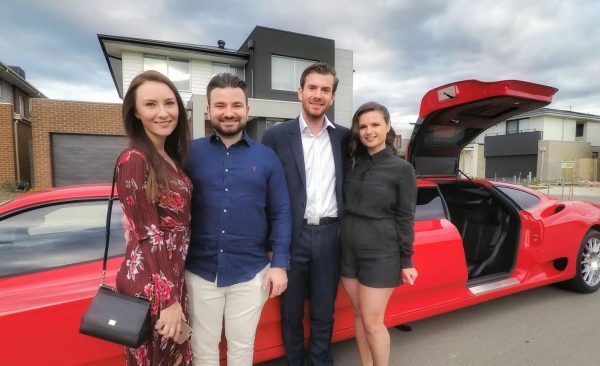 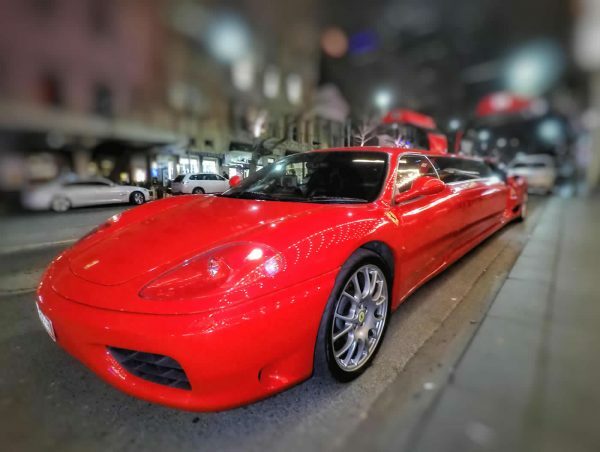 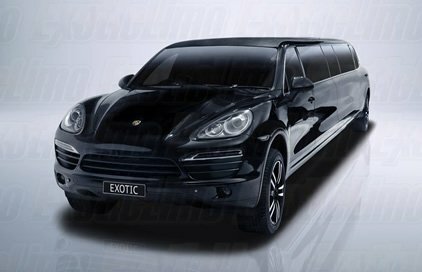 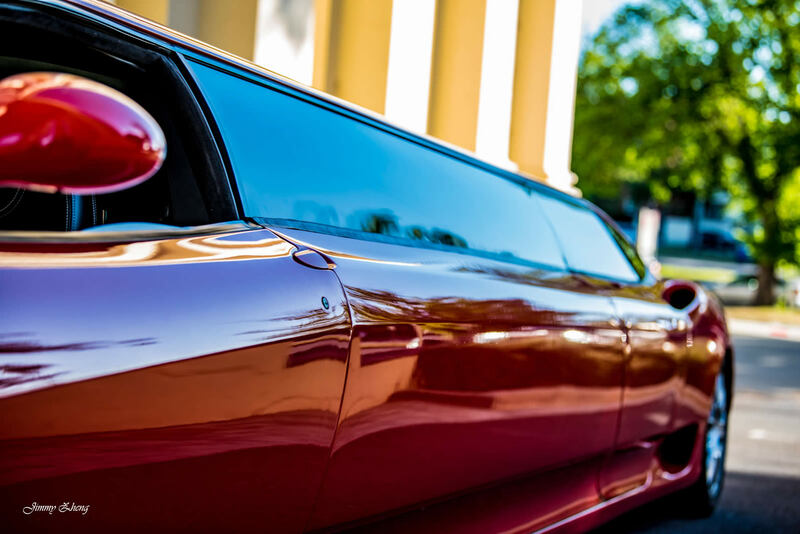 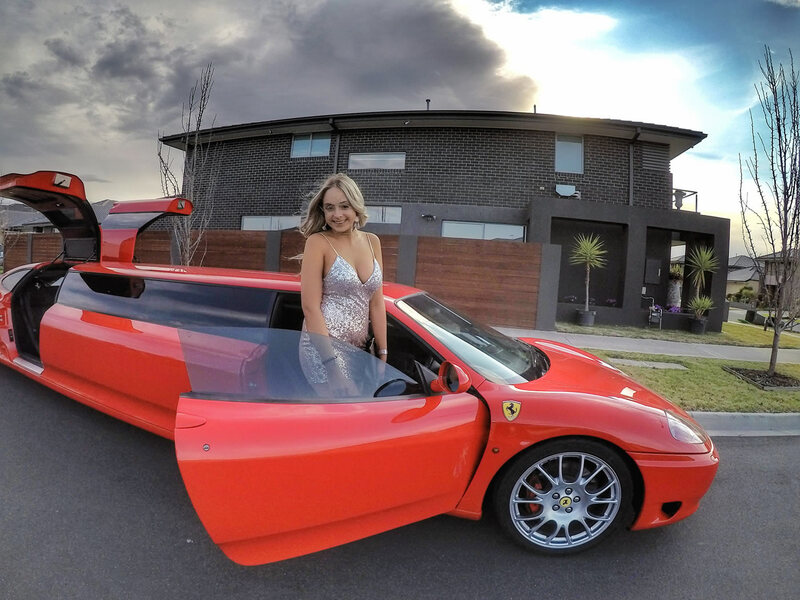 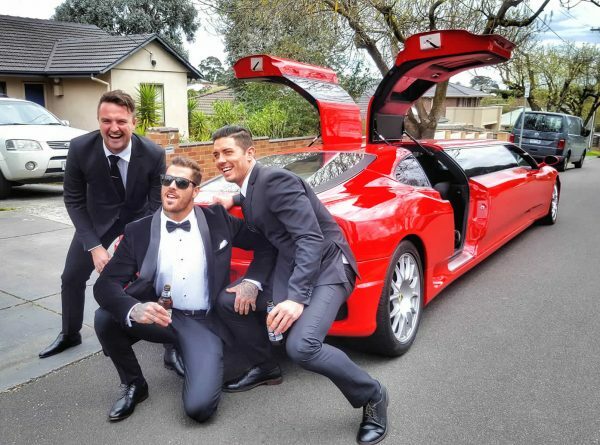 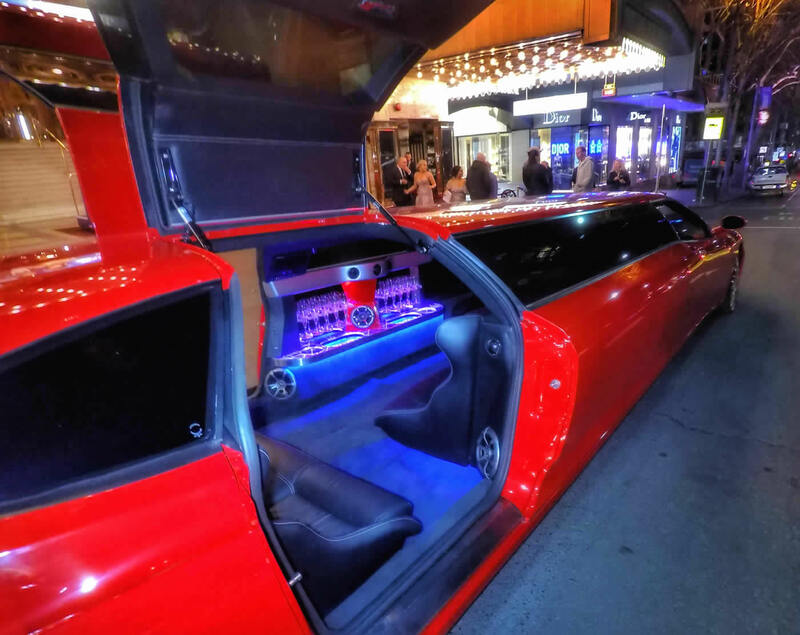 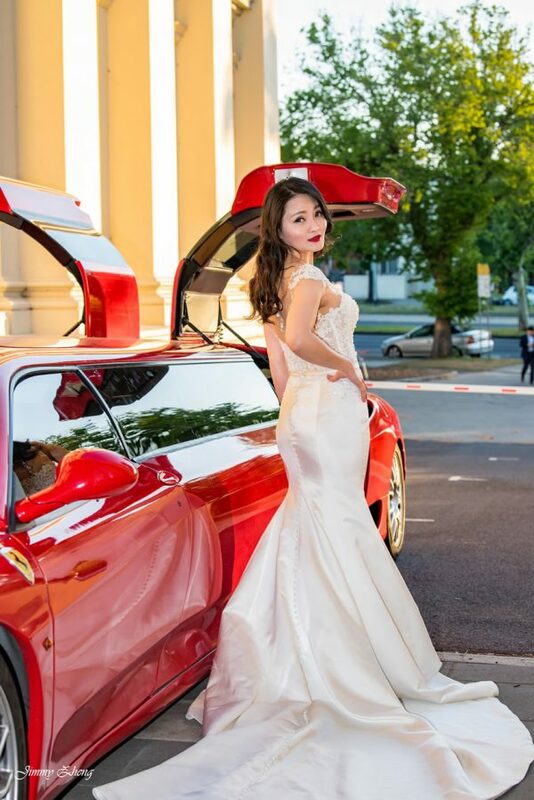 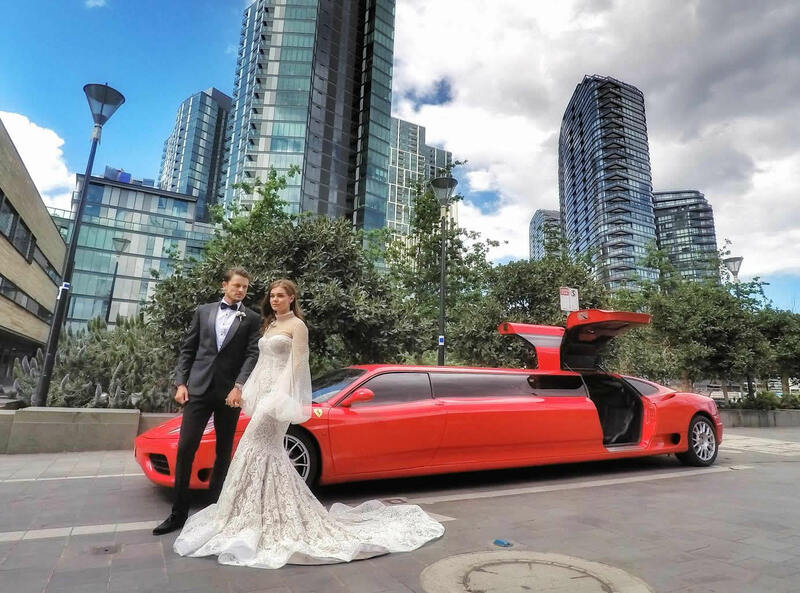 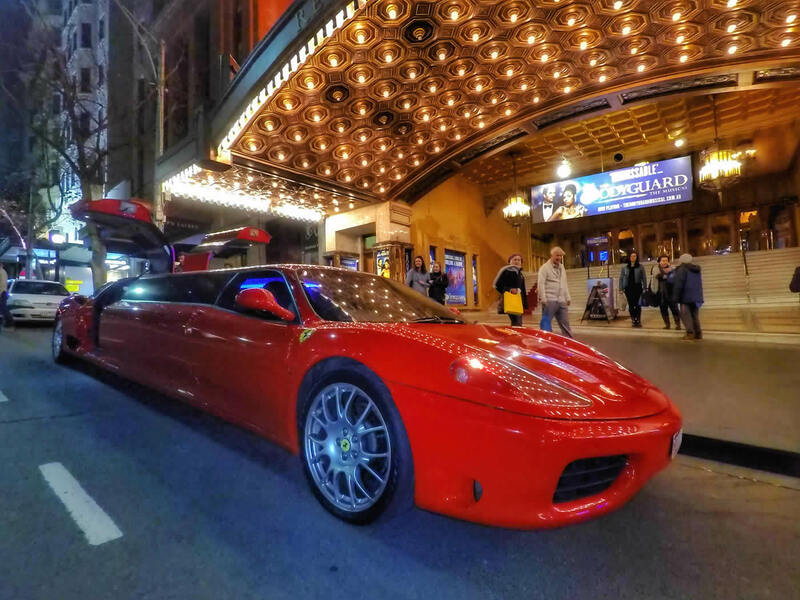 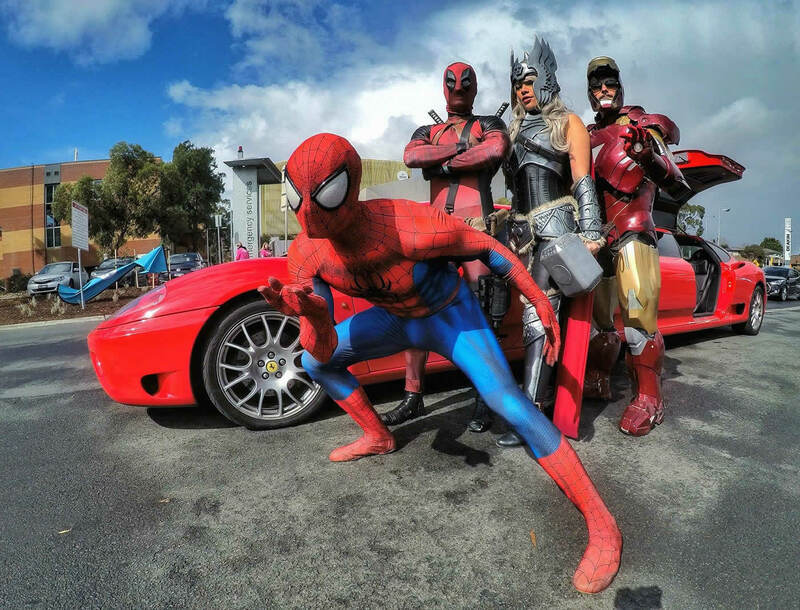 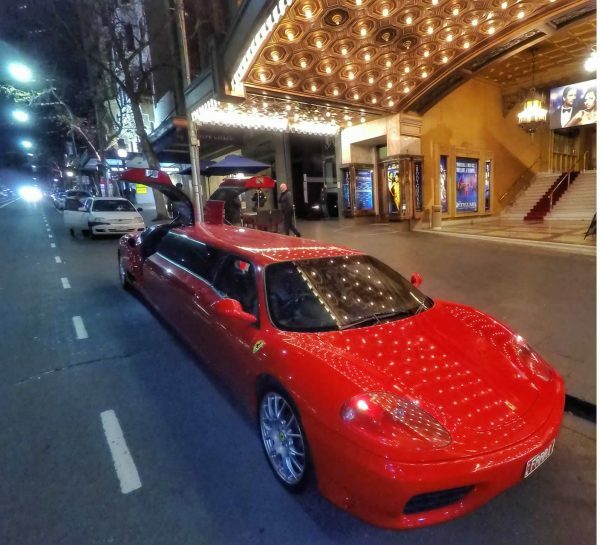 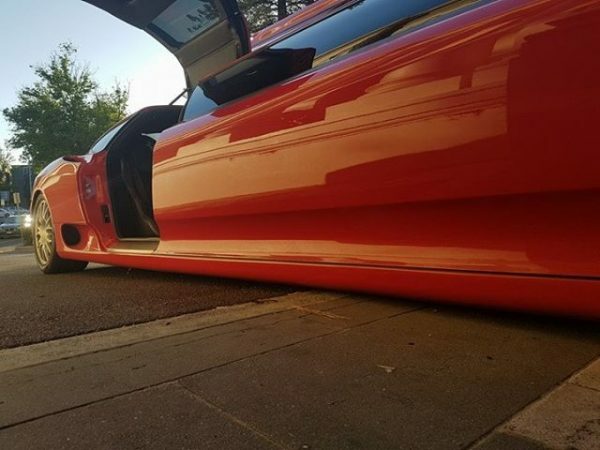 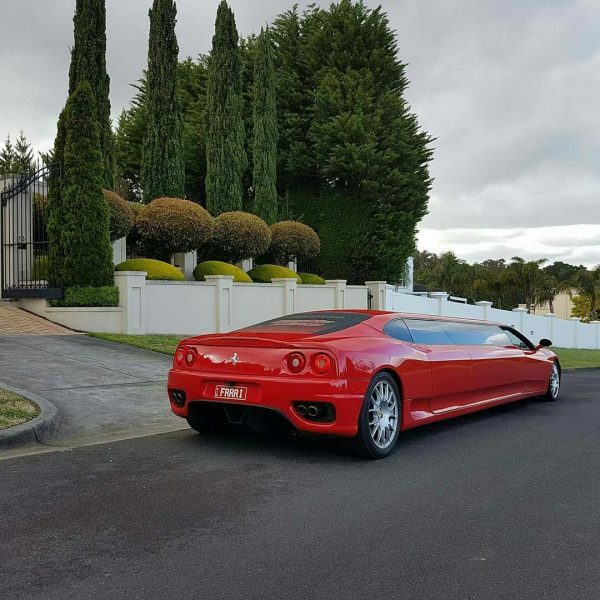 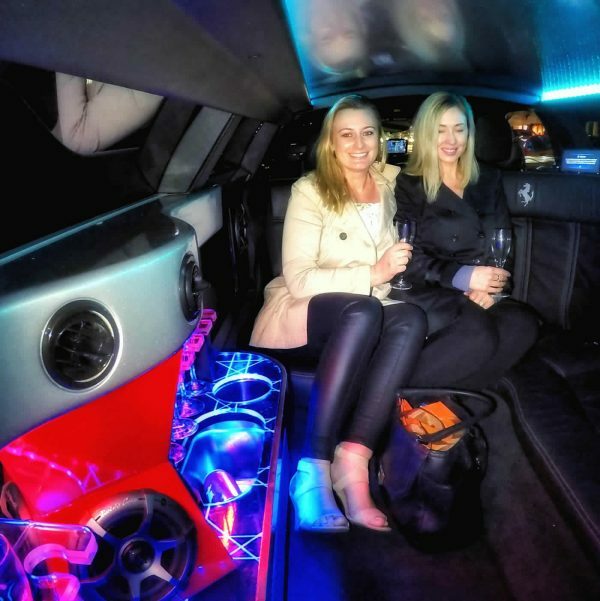 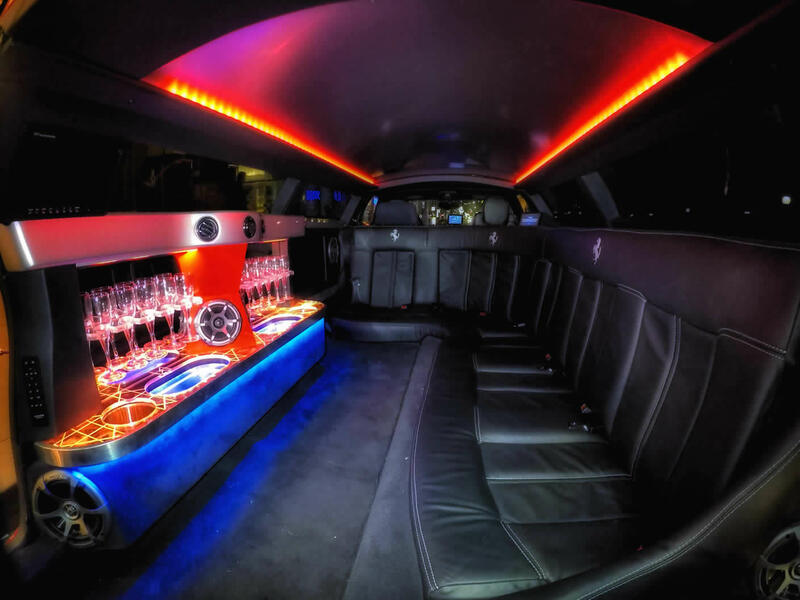 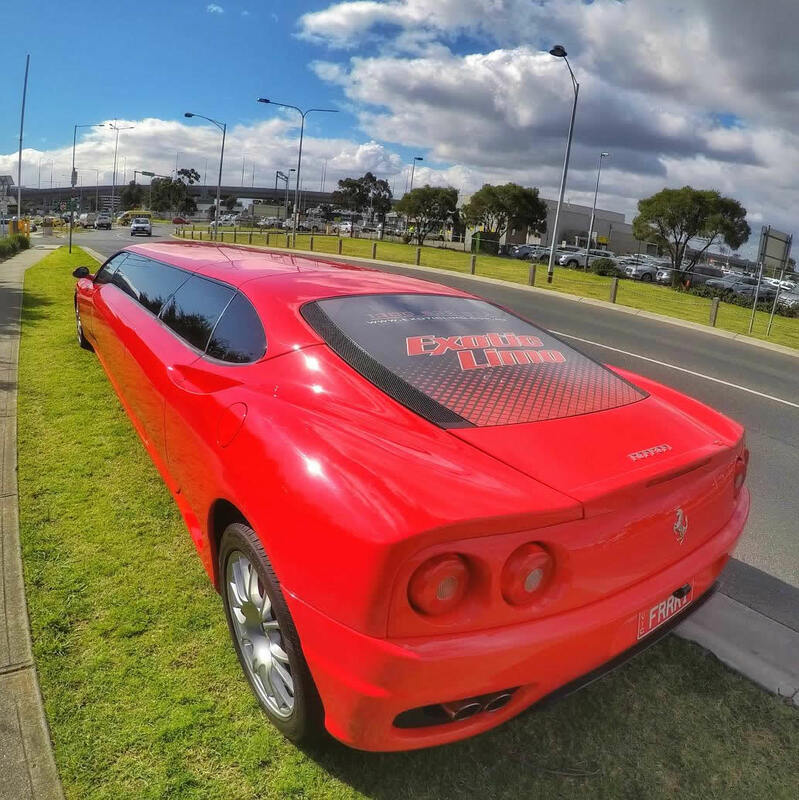 Be it’s looks, sound or speed – the Exotic Limo Ferrari Limo turns heads and drops jaws, and if you’re looking to be the centre of attention, you’ve selected the perfect limousine for your special event. 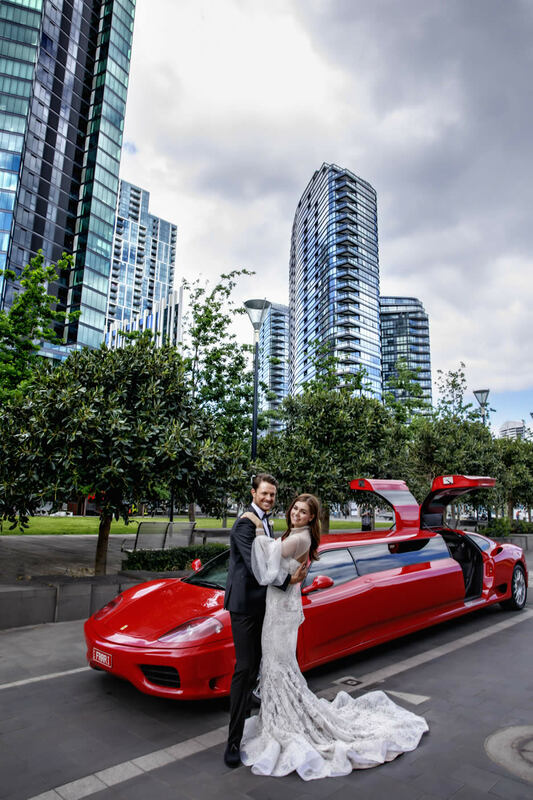 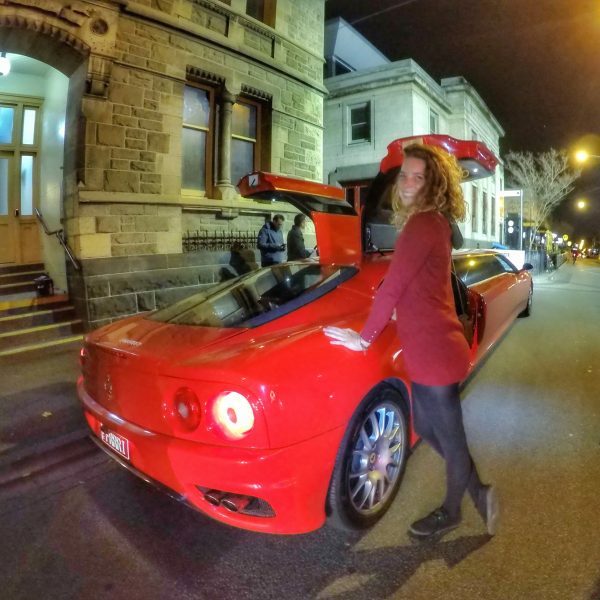 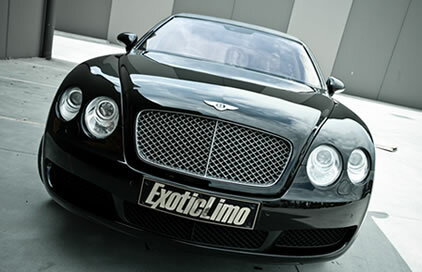 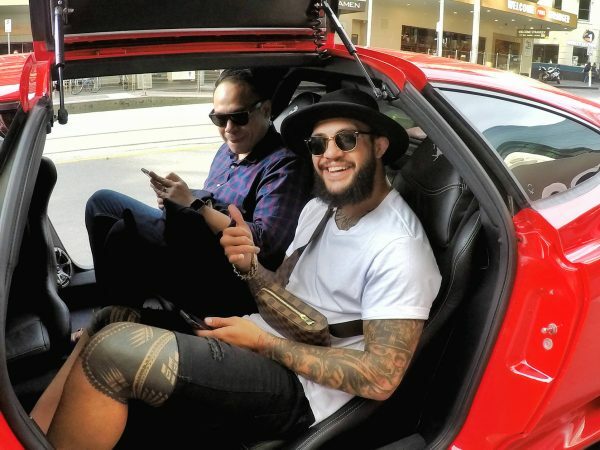 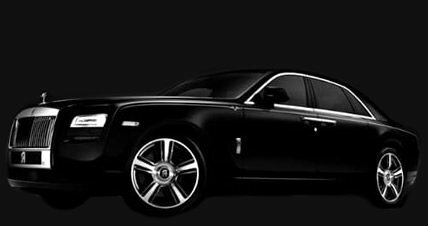  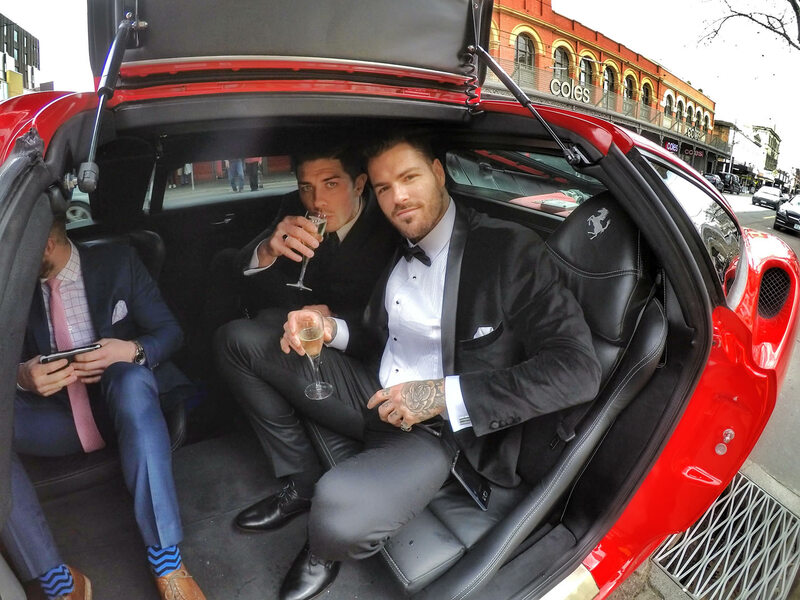 You and your passengers can be chauffeured around Melbourne in bespoke style and arrive ‘Like a BOSS’. 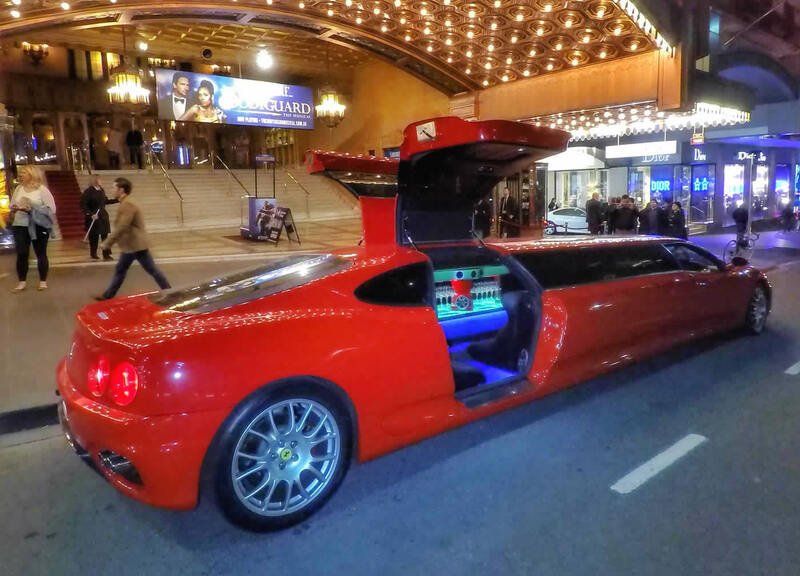 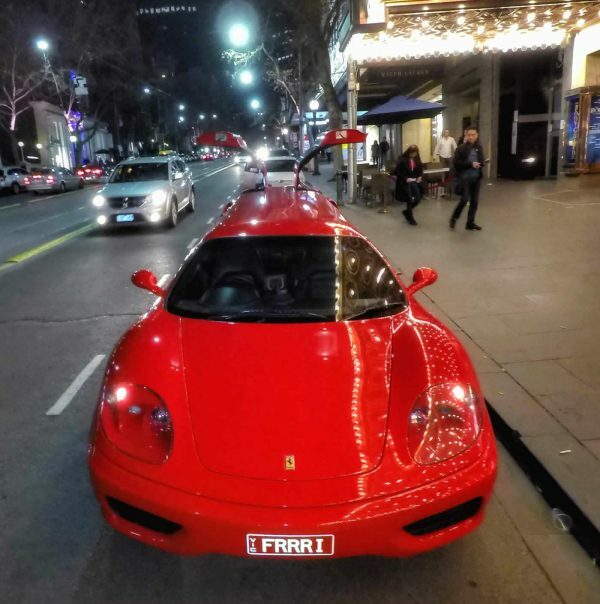 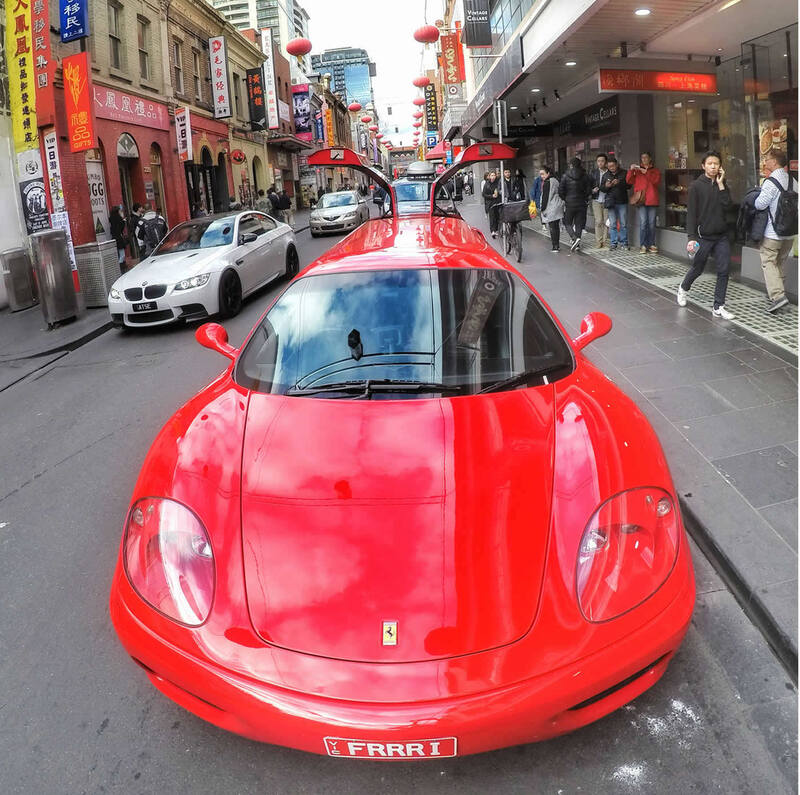 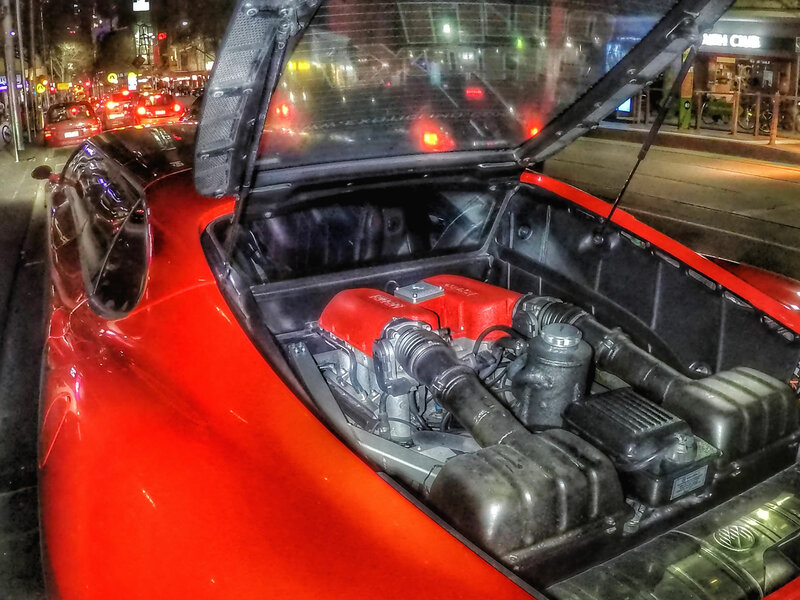 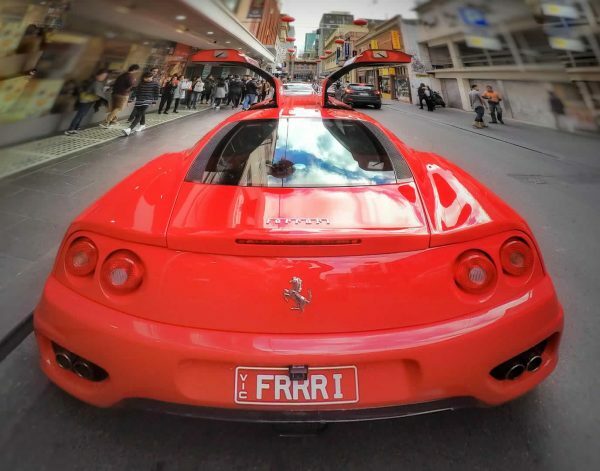 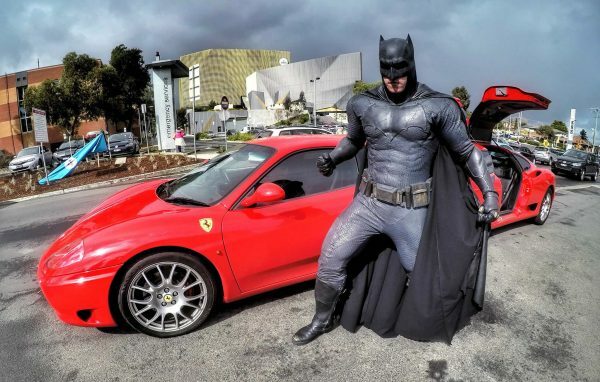 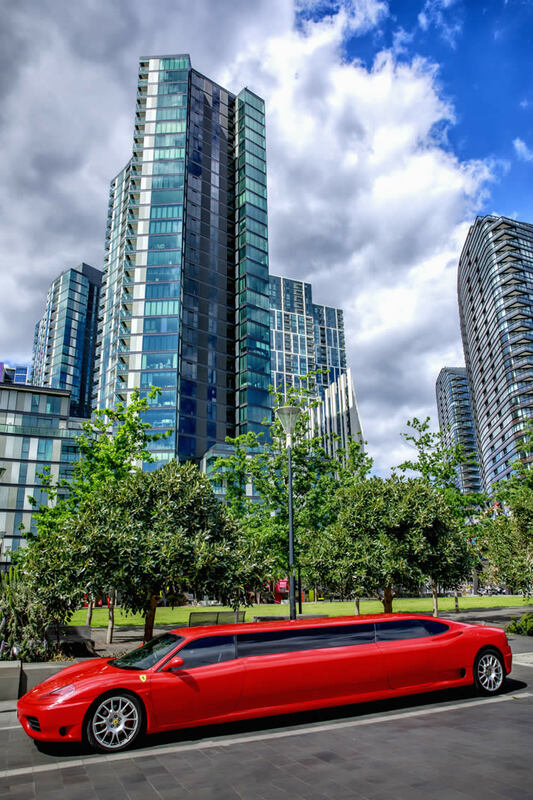 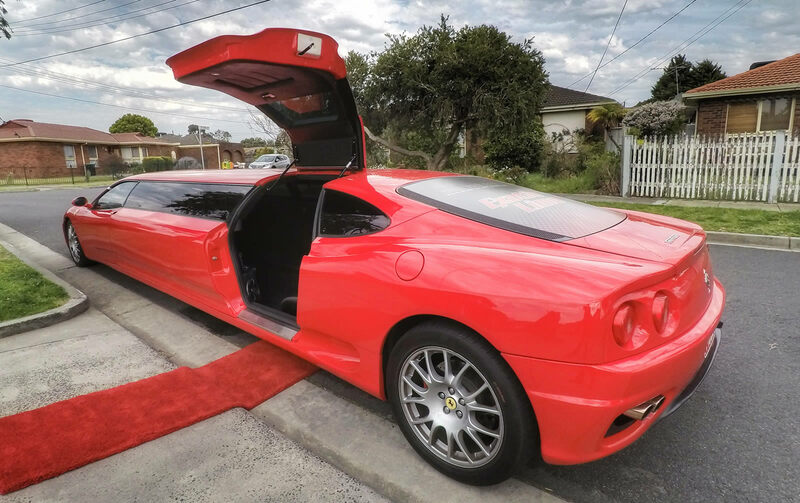 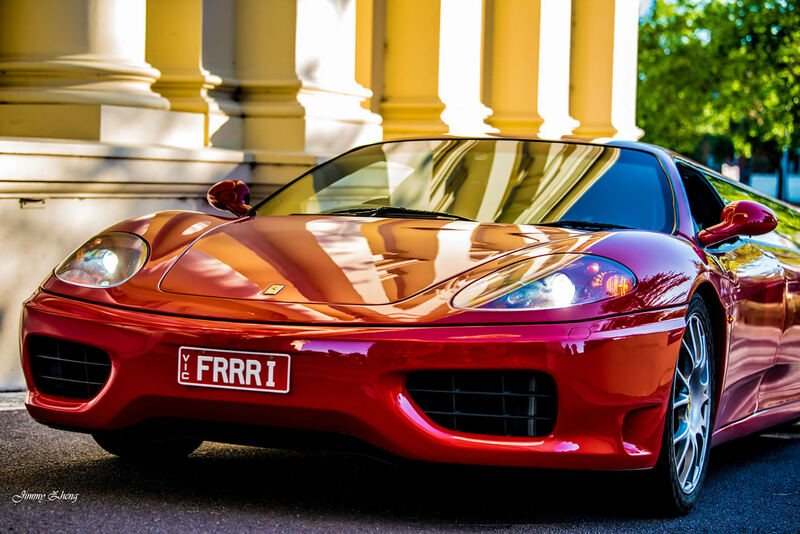 All eyes will be on you when this stunning Red Italian Supercar limousine roars up to your venue. 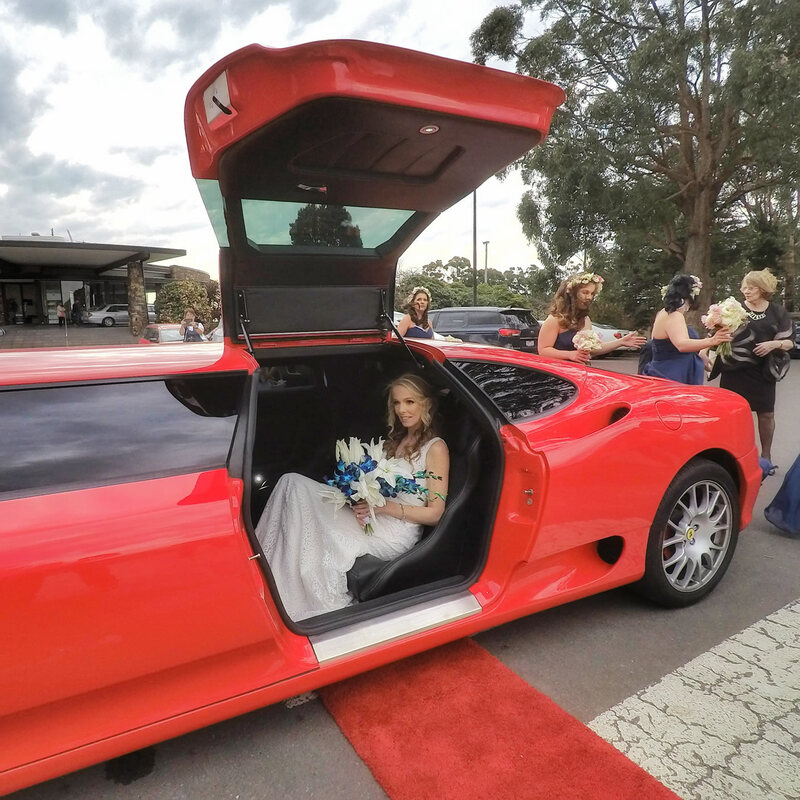 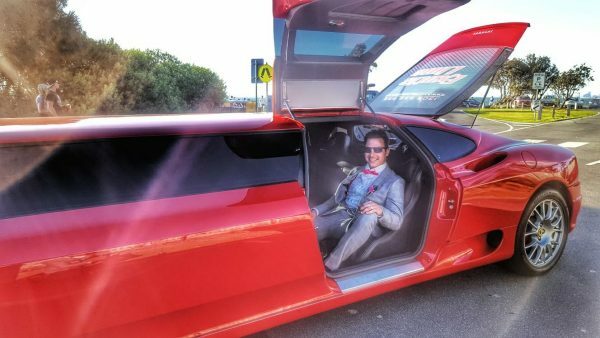 As the gull-wing rear doors open automatically, walk the red carpet and be the Superstar you really are. 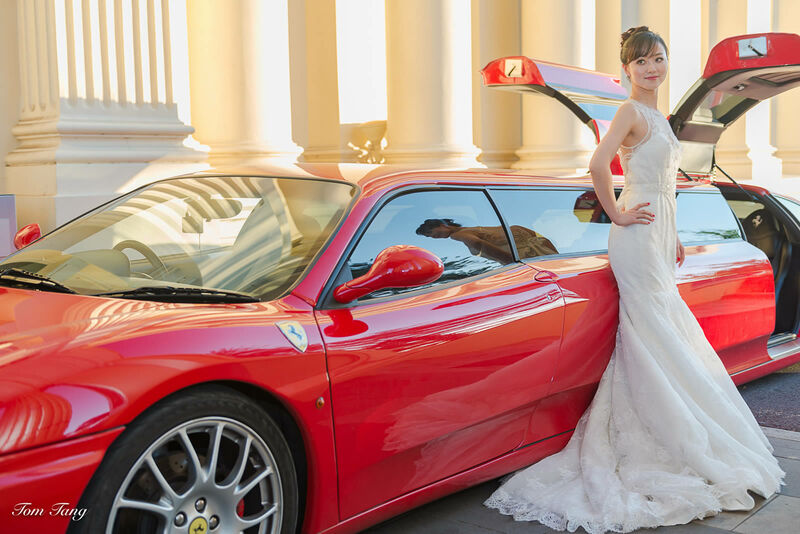 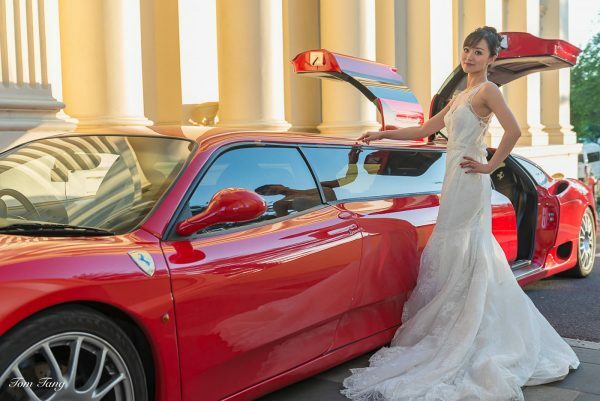 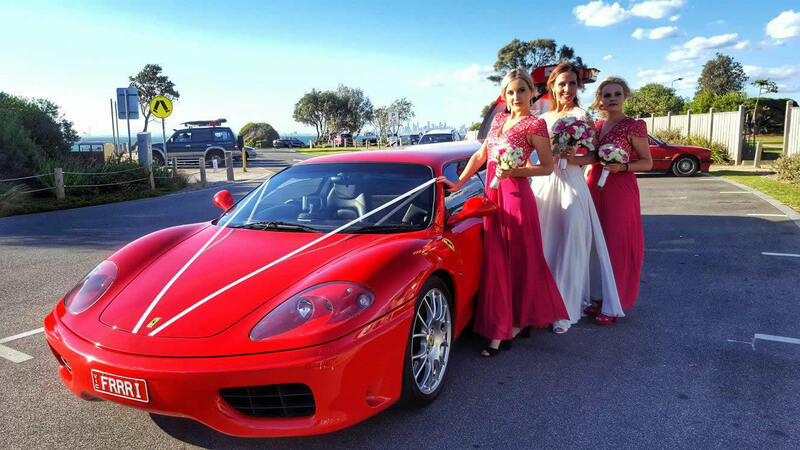 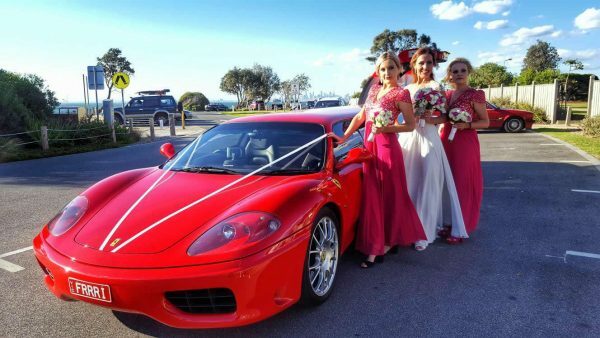 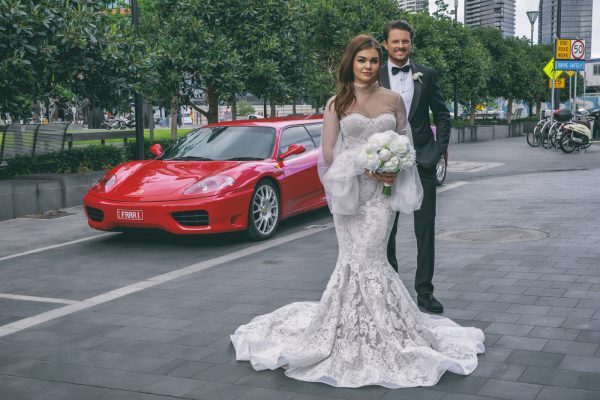 Enquire TODAY to find out about the exclusive Ferrari Wedding Packages available for YOUR special day! 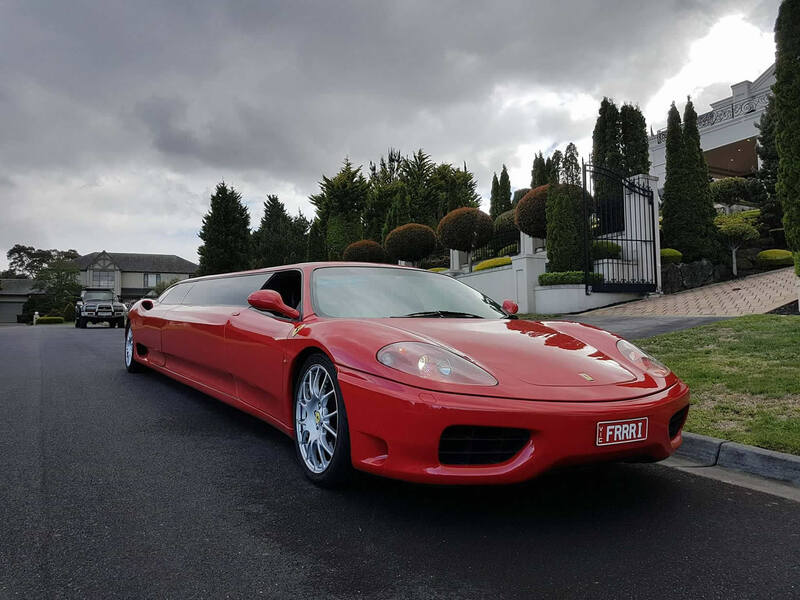 We also cater for School Formals and Graduations; Debutante Balls; Birthday Celebrations; Race Day Transfers; Surprise Gift for Ferrari Lovers; Charity Events; and Corporate Occasions; Airport Transfers and more. 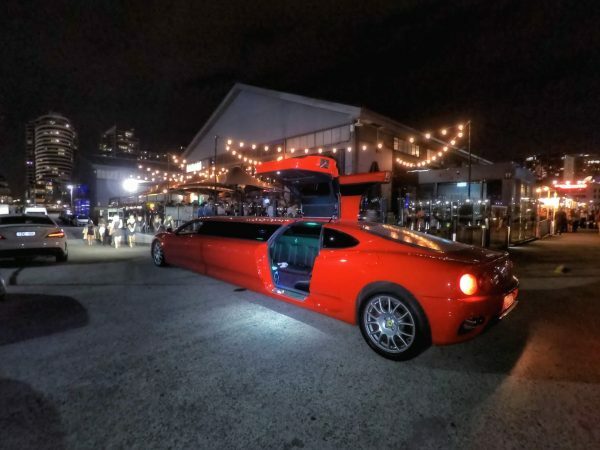 Demand is through the roof, so call 1300 532 532 NOW to get an immediate quote and check availability for your upcoming special event. 0-100 in only 6 Seconds! 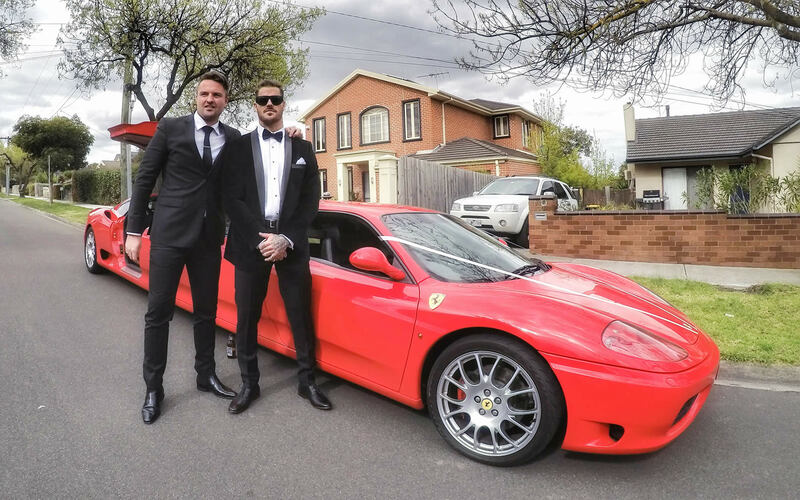 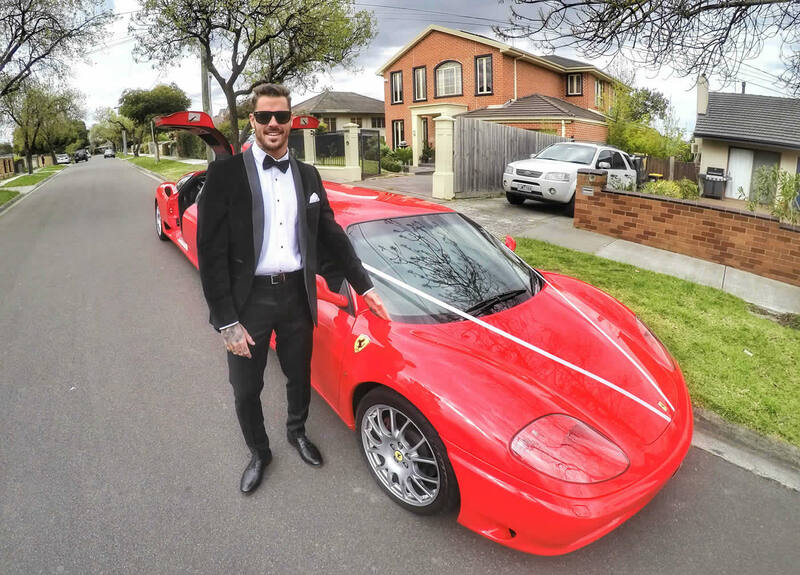 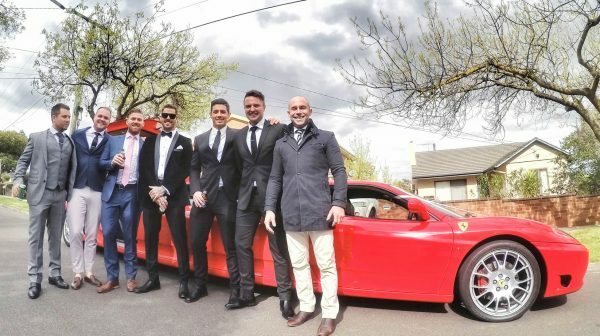 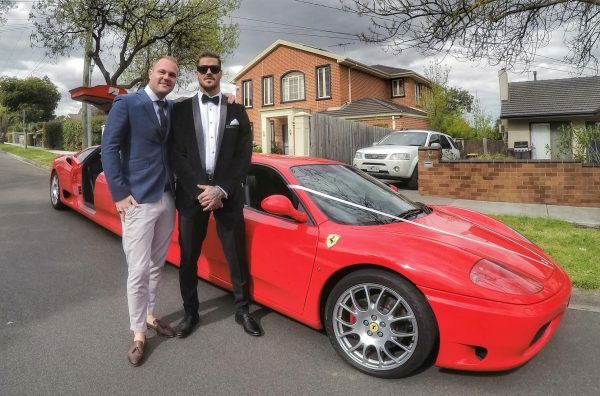 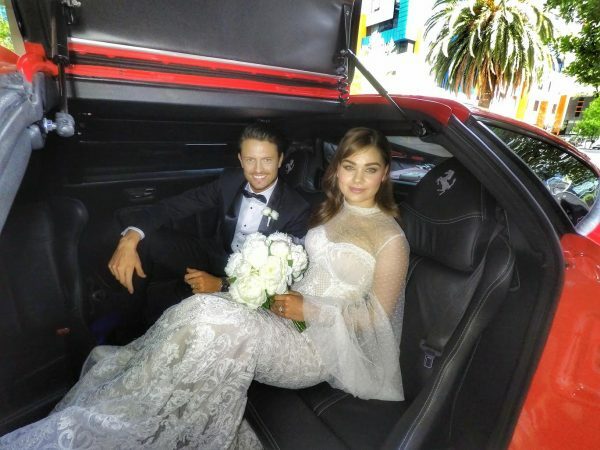 As a Ferrari obsessed fan since I was a small boy, the opportunity to utilize the Ferrari Limo for my Wedding truly was a dream come true for me. My Wife reckons the reason I cried on the day was because of the car and not because I was marrying her! And the truth is – I’ll never tell anyone! In all seriousness though, the Ferrari Limousine experience Exotic Limo were able to offer me for my Wedding Day is the most enduring memory I will take with me for the rest of my life. 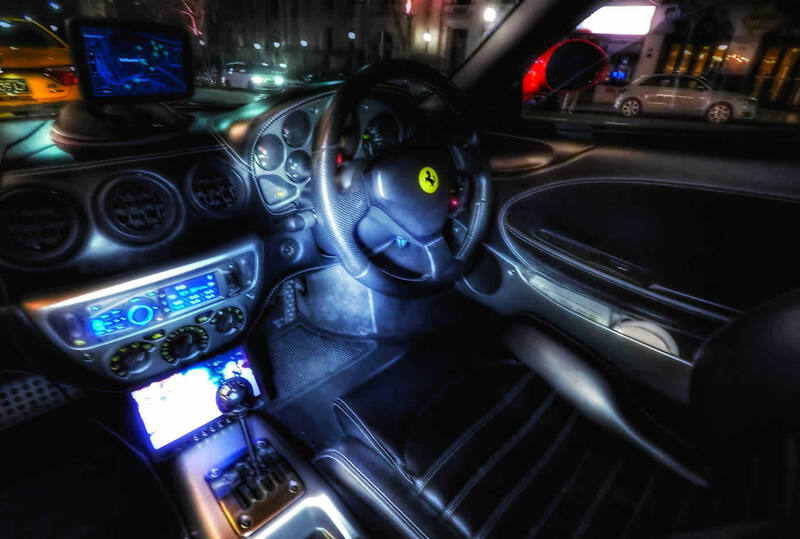 And the photos just look spectacular too. 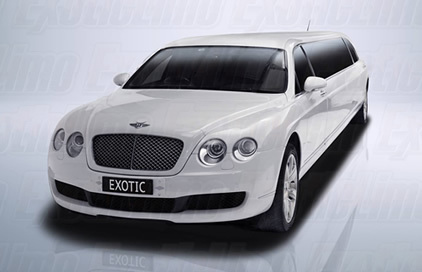 What a day, what a car, what a company Exotic Limo are. You made everything a dream-like experience, thank you guys very much. 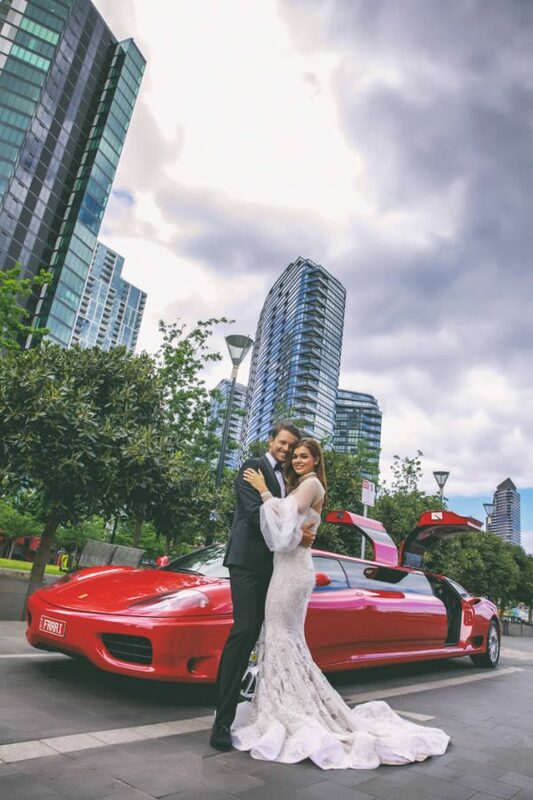 Amazing experience, perfect day.